Have you tried going WO (water only) and found that it made your hair too sticky and gross? 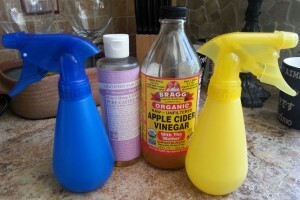 Have you tried the BS & ACV (baking soda & apple cider vinegar) method but it made your hair feel too waxy? I found that neither of these methods worked for me, so I tried something new. Now wait… What am I talking about? All I can personally say is that other than water, this is the main ingredient in most shampoos & soaps and my skin gets irritated when I use them. As you might imagine, even though these no poo methods didn’t pan out, I didn’t want to go back to conventional shampoo just yet. Regular shampoo heavily dried out my hair and had chemicals in it that I didn’t want my body to absorb. Originally I went from the water only method to using the baking soda and vinegar method, but it still didn’t fix my hair. I also read how bad baking soda was on one’s hair after I researched it after having “weird effects” on my hair using it. A blogger, Sonya Kanelstrand, states that baking soda started to destroy her hair by making it brittle and weak. She started researching, like I had, on what was happening to her hair. She realized that the baking soda was ruining the pH of her hair making it to alkaline rather than acidic. Many sources say our skin should be an acidic 5.5 pH, while some say 4.5-5. Either way, baking soda falls closer to an 8.3-9.5, which negatively affects your skin and hair. I was adding 1 tablespoon baking soda to 1 cup distilled water in my spray bottle, and the same concentration for the ACV in the other bottle. I then changed this up when I replaced the baking soda one with 1-1.5 tablespoons Dr. Bronner’s castile soap and about a cup of distilled water. This helped the pH significantly. What I like about this method is that it’s still very natural, it produces soap suds, the ingredients used are mostly organic, and the overall is comedogenic rating (rating given to show whether or not something is acne causing) is low. In fact, acne.org currently shows a rating for this product as a 4.6/5 for it’s ability to heal acne, including bacne. What I always disliked about most shampoos is that they often caused acne wherever they touched me. I much rather be using something more natural that heals as it cleans. I still choose to water it down a bit though because it’s still basically a soap. I find that the watered down version of Dr. Bronner’s soap has worked better for me than any other hair-washing technique I’ve tried so far. If you haven’t found any luck with the methods you have tried, I suggest you give this one a try. The Dr. Bronner’s version doubles up as a body wash, shaving spray, and even household cleaner; just be mindful of any woods and tiles that don’t do well with oils because Dr. Bronner’s soap is primarily made using oils. It’s called the magic all-in-one soap because it can be used for almost anything, although I wouldn’t recommend it used as toothpaste. I have however tried it in my laundry and I like the effect. 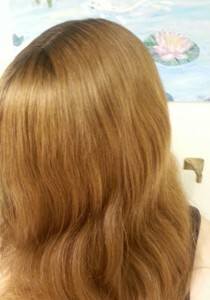 My hair is finally soft, has some natural oils without feeling greasy, doesn’t feel waxy at all, and looks healthy. I look forward to seeing how this method works long-term, when the oils finally distribute to the tips. I am also happy to say that my hair isn’t frizzy anymore. This no poo method cleans my hair without depleting my natural oils. Normally I would have to use added serum and other products to my hair to avoid a frizzy mess, but not with this. Yay! I am still open to trying other methods if this one doesn’t work long term, but I’ll be sticking with this one for now. If you have tried other methods and they currently work for you, I’d be interested in hearing about them! Also feel free to comment below. Have an awesome day!